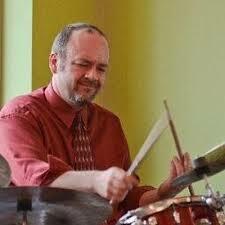 Ben Hans is an instructor at the Milwaukee Area Technical College Music program. The curriculum focuses on the business of the music industry. Along with the business, recording and technology classes are taught as well. It is an excellent program. Several times a year I have the privilege of speaking to students at various universities and colleges in Wisconsin. Topics may include entrepreneurialism, pitching your music or the general music industry. One of those classes that I speak with on a regular basis is the aforementioned music program at MATC Milwaukee where Ben is the instructor. He is a passionate educator with a deep concern about the well-being of his students. Ben is an accomplished musician himself and has been involved in many recording projects including his own releases. But more importantly, he is a great teacher and it is obvious that his students admire and respect him. This past session, I spoke to several classes about many music industry topics. These classes always have engaged students with interesting questions and perspectives. Part of their educational process is to write a review of my presentation as required by their instructor. Below is their review of the class. This was my second time attending Roy’s presentation. The first time i had met Mr. Elkins was in my Music Business class, where he had done a presentation on a site called Broadjam. He opened it up with some humor and a power point that kept you interested in what he had to say, he brought out a lot of interesting topics, such as copyrights and music licensing. As the presentation went on he proceeded to tell us about “Broadjam”the benefits of having a profile on the site, and exactly what you can do with your music when it comes time to upload to your profile. Both experiences were very informative and interesting to say the least, and i am glad i am able to be a part of the opportunity that Mr. Elkins and Broadjam has to offer. Listening to Mr. Elkins’ presentation was both entertaining and interesting. His power point was loaded with information regarding the music business, promoting and advertising your own music. He walked us through the process of creating a profile with “Broadjam” and why it is beneficial for people trying to get their music heard. Roy Elkins came in to my music business class and shared much knowledge with us. It is very important to have all data complete and accurate. Promotion materials are a good addition. Make sure to have current contact information and photos. Know your sound and who you sound like. It’s a good idea to know what each “deal” entails. Know to whom your pitching and their backgound history. Find out the top 10 TV shows and listen to the music. A solo artist has minimal chance of placing a song on a chart. It’s better to work with one or more writer. Growth happens during the tough times. Every job is a lesson. Play live shows and sell merchandise. Roy did a great job of explaing the importance of having your stuff together before you put it on social media. He gave examples on how music was submitted through his site Broadjam, and was pitched for big music opportunities. I was quite impressed by Roy because of his resume, energy and enthusiasm. Roy has worn a lot of hats in his time finding his niche in the music industry. He did an excellent job selling his website broadjam.com. I’m inspired how he has used this networking from his site to help connect writers, singers, musicians and people seeking music together. He explained how nowadays you don’t necessarily need a record deal with a huge record label in order to sell your music. He explained how your music could be used a lot more than just the traditional radio or album sales we used to rely on. We could have our music used at football games, video games, malls, automated telephone services etc. He taught us the steps to getting our music out there, from copyrights to performance rights organizations to pitching our music. Roy gave us valuable information on how to pitch our songs. Things like; “putting your best 3 songs as the first 3 on the album”, “having a professional image”, or “waiting to have a good finished recording before pitching it”. I also learned from him what not to say when pitching our music. Such as; “the drummer on the CD was high on the day of the recording”, “my friends and family love it”, as well as “I am not very excited about this project”. I learned a lot from Roy such as; “your music is never early or late”, and “you only have to be right one time”. Also, I learned about how you should know your genre and how to market yourself to it. You should look the part. He encouraged us to continue our musical journeys because, “music is what we love, not “because we want to get rich or famous”. And that doesn’t necessarily mean we have to be starving artists either. We could join broadjam.com and find other ways to sell our music. I am a music occupations student at MATC and my music business instructor Ben Hans afforded us the opportunity to listen to a presentation by Broadjam founder Roy Elkins. It was awesome that he took out time from his schedule to come talk to our class. Listening to him along with what I have already been learning in class, made my music quest even more relevant. Besides having a sense of humor, Roy took us through his quest as a musician and how he used tools to further his music career. Before Roy spoke to our class last week, I really had no clue what Broadjam was. I understood that it was similar to other music posting sites, but had no clue how much more there was to it. Licensing,submitting songs to companies, and reviewing other members songs are just a few major aspects of this website. What I liked most about the presentation was how in depth Roy got into submitting your music to major companies that are paying big bucks for songs. He seemed to really stress the point that getting your music out there, even if there is a small chance you’ll get the gig, because all it takes is getting lucky one time. Second, I love the structure of the company. An example of this is that instead of people being able to just post songs for free, it costs five dollars. This helps keep people from tagging their songs in almost every genre, which is what’s really annoying about sites such as Soundcloud and others. Next, I totally agreed with Mr. Elkins when he was explaining how important filling all the criteria tags when you post a song. This is important because of two reasons. The more tags you have the more likely someone will search one of the key words and find your music. People want to know what your music is all about so a small paragraph doesn’t hurt. Finally, he explained how ASCAP, BMI, and SESAC work to get you paid for performances including your music. Although this doesn’t really apply to us yet, it will be vital if someone’s music ever gets popular. Overall a great informative presentation about a company that can easily contribute to getting your music better known. Thank you Roy! A few weeks ago my music business class got to hear a wonderful presentation from Roy Elkins, founder and CEO of Broadjam, a music licensing and social networking website. He talked in detail about performance royalties, the perfect promo materials, what to have on your personal website, and what to do (What to say, what not to say) for a sales pitch. He packed his presentation with a lot of great advice (Consent to losing sight of the shore, name-dropping isn’t necessarily a bad thing, Have a 30 or 60-second song sample ready to go). To sum it all up, I’m quite glad that Roy came to speak with my class, he’s great source for useful and relevant information on the music industry, a great speaker and a very nice man on top of that. As a student at Milwaukee Area Technical College, enrolled in the Audio Production program, I had the opportunity to meet and listen to Mr. Roy Elkins, Broadjam founder and CEO. Mr. Elkins gave a presentation about Broadjam, including the purpose of Broadjam, what is provided on the Broadjam website, how to prepare a pitch, as well as tips for forming a successful mindset as a musician. Broadjam’s main purpose is to connect the buyers and sellers of music, the number one type of transaction being music licensing. Surrounding this overall goal are other great features such as artist profiles, top 10 lists, song contests, download sales, web hosting, reviews, and social networking (something every musician should be involved in). Mr. Elkins went on to talk about preparing a pitch, and there is a lot to take into consideration. The preparation starts out with making certain the metadata for the song/album is complete and accurate, and making sure the genre, sub-genre, beats per minute (BPM), and that short and long descriptions of the work are included. Also, the artist should have the music readily available as a .wav file and as an instrumental (30 and 60 second versions). The promotion materials the artist/band puts together must be perfect, because the promo materials are just as important as the music. Inclusion of relevant photographs is also a great idea, and also making sure they look like your music sounds. The artist’s contact information should be included on every item, so the person listening to it/viewing it does not have to take time to find out how to get ahold of you. Mr. Elkins gave his thoughts on social media related to how musicians (and people across many professions) should heed in what way they are portrayed on their own social media site(s). A few of the main points were to remove all negative posts from you and your friends, and to not show any societal/political/etc. extremes (aka rants, fringe thinking, threats). When a prospective employer (music buyer) does some background research on an artist, just a few mouse clicks away, and sees that someone partakes in this type of behavior or mentality, it could very well be a deal breaker. A person seeing this type of social media activity might come to the conclusion that the artist wouldn’t represent the values of the business looking to buy, and could also see the artist as potentially being someone difficult to deal with. Lastly, when going into a “pitch” situation, know ahead of time what the deal is likely to entail, who you are pitching to, and what that person’s history is. After Mr. Elkins laid out what to do, he went on to give a few points on what not to do. Don’t make excuses in the pitch—no one wants to hear why something was amiss or why something wasn’t just right. Also, don’t put down other artists in your pitch—a good musician (and person) doesn’t need to put down other artists to make themselves look better (this just smacks of insecurity). Lastly, resist explaining what the song is about, as the music speaks for itself. Along these lines, I’ve heard and seen quite a few commercials where the lyrics of the music had nothing to do with the product being advertised—just one example of why not to explain what the song is about. Having success as a musician starts with having a mindset that allows you to be successful. A few thoughts that Mr. Elkins presented were: growth happens during tough times, and in that same vein, get comfortable with being uncomfortable. Personal growth will occur during tough times because our experiences make us stronger and more knowledgeable. A person (artist) may not have to experience that same tough time again because they have already been through it and know what to do to avoid it, or at least lessen it. Mr. Elkins said “Consent to losing sight of the shore.” This to me encompasses several things, expanding your horizons (just so happens to fit great visually with going out from “shore”), getting away from your comfort zone to make personal/business growth, and believing that you will succeed in what you are doing. Mr. Elkins presentation provided a lot of great information about Broadjam, as well as additional tips for musicians related to furthering their careers. Not only was the information relevant, but Mr. Elkins was also very friendly and helpful. He explained thoroughly and clearly what exactly what his website did, how we could use it to help in our individual music careers, and basically how to utilize his website to its full potential. He explained to the class how exactly we should go about pitching our music, not only did he tell us what we should do, he also explained what we shouldn’t do. This part of his speech, in my opinion, was the funniest. Mr. Elkins definitely knows how to speak with charisma and has a great sense of humor, keeping the class’s attention throughout the entire speech. Along with his charisma and sense of humor, what also helped keep my attention was the fact that he has so much experience in the music business. How could I resist not taking advantage of all this free advice from a man who has himself locked into the business I strive to get into someday. After listening to him speak I know one thing for sure, the information given to me that day will be utilized and will help me get ahead in my career. Looking the part in music business can do nothing but help you land a deal and thrive. There is so many looks in the industry, folk,rock,pop etc. So I am guessing you pick a look and commit. Building a brand as a musician is great your fans need to be able to relate to you. In the industry they say that its 90 % look and 10% talent. Committing to a career is probably paramount to everything on that list. Taking off in the industry can take a while, but finding income and pursuing your talent is so worth it. In the industry they say it’s who you know not what you know. Having connections in the industry is everything, there is people in the world who can make you successful overnight. Networking with people even outside the industry can help sometimes. Performing locally can help you build a cult like following if you’re a good act. Local bars, restaurants, all types of venues. Promoting your talent can be hard, if you do not have the talent. I think gaining a following is easy, how hard could it be unless you’re a phony. Surrounding yourself with a good management team and great writers would take you from 1 to 10 overnight. The industry in the past was very independent, people working with people. The industry today is all corporate and numbers, it’s very cold. Regardless if the industry has transformed or not the people still get their music. Creating new music can be one of many hats a musician wears to make money. But having a trusted place to provide industry access to your music is key. Broadjam can bring music supervisors, ad executives and producers to your music. If your music tends towards one or more specific styles within your genre knowing the sort of music currently running on TV shows, video games and theatrically released films will help you know where to look for likely placements. And to develop your career in making money from your music, keeping a personal Top40 of contacts in the industry is invaluable. Staying in touch with this list of 40 individuals who have helped you, given advice or been active participants in making deals happen will help create a long-term revenue stream from the music you create. 1. It stressed to me the importance of Sych deals in the music business. 2. It educated me about how to get a sych deal. 3. It educated me about how to use broadjam. 4. It gave me tips on how to improve the quality of my recordings. 5. It was an entertaining talk that gave me plenty of food for thought. The presentation for my Music Business class at MATC (Milwaukee) by Mr. Roy Elkins was very informative, as well as inspiring. I left the classroom wanting to get to work writing music. What he has created with broadjam.com is exactly what someone like myself needs to get themselves and their work out there to not only be heard by people, but to give it a chance to be discovered by the right people. The biggest, and most surprising, thing that I learned was how accessible it really is to put your work on the site. It’s easy, really. The hard part comes when you decide to really make music making your career. Then you have to put in the hours to make your work stand out among all those that are just doing it on a whim. The QUALITY work is what all of the companies and A&R people are looking for. That is the hard part. Making a high quality mix, putting all of the information out there so that your work will show up in more searches, doing your homework, etc. Knowing what not to say is, in a lot of ways, more important than the other things though. You can have a great sound, good image, and a killer song. But if you say one wrong thing, such as saying that another group (that might be one the A&R person got signed) is terrible, then you can lose all of the good vibes you had going. Making excuses for why your music isn’t up to par just makes you look lazy, as well as gives the impression that you’re not reliable. So knowing what kinds of things to avoid saying is paramount. The thing that I am most excited about with Broadjam is the sheer number of companies that they have ties/relationships with. To me, it means that there are not only thousands of opportunities, but that my own niche has a better chance of finding a place. Having a specific kind of music can be good in the sense that you are very skilled at it. But being able to be flexible is important as well. Plus, if you end up doing something that isn’t enjoyable for you, and get famous with it, then you could be stuck with it. So being able to branch out is not only smart business-wise, it also might save your sanity. But the last part was the inspiring part. Seeing all of the words of encouragement, as well as hearing Roy talk about it with such genuine enthusiasm, is great. The old saying goes that if you do what you love you won’t work a day in your life. With that in mind, I get the feeling that Roy Elkins hasn’t done a day of work in a long time. Thank you, Roy, for sharing your site, company, and passion with me. As well as with anyone else that you have given this presentation to. I look forward to being one of your success stories at some point. A couple weeks ago, my Music Business class at MATC Milwaukee had the pleasure of have Roy come and tell us about Broadjam. It was very nice to have him speak to our class. He was humorous and at the same time he gave everybody very important information. He informed our class on many things we should do and many things we should not do. The first was for you to have everything all set and ready to go. This would include having contact information on everything so they can reach you and have your songs ready in a WAV format. Second, know the people you are pitching to and what their history is. The third is an important one, when someone asks who you sound like you should have an answer to that question. Another important thing is to not say anything negative about anything, especially about your own music, you should be excited about your own music. Don’t bring up anything that isn’t relevant. Don’t complain about anything and just stay positive. Roy Elkins recently came to my Music Business class at MATC to tell us a bit about himself and his company. He talked about his experiences and what it taught him. Mr. Elkins shared so much valuable information with us during this presentation. It was a blessing to meet Roy Elkins and it added fuel to my fire. It was incredibly inspiring to hear from someone who completely built their company from the ground up; it makes it clear that dreams are possible. Broadjam gives artists a tunnel into the music industry. It will give me and my band opportunities that we otherwise wouldn’t hear about. I can’t wait to share my music with the world and I’m thankful that I can do it through a local Milwaukee company! I had the opportunity to sit in Mr. Elkins presentation in Ben Hans’ class. I found out that Broadjam is more than a website that artist can post their music to. Its so much more. -Music Reviews- This section of the website is my favorite. It gives artists, fans, and paying customers to interact with each other. I like the fact that you can give constructive criticism to others. And give suggestions on their songs. -Buying music- you can buy independent track for cheap and use it in web shows and videos. (If allowed) And sometimes you can get free music. -Unsigned artists- Unsigned artists/songwriters can put their music on Broadjam and be discovered by major record labels via contest ran by the site. -Television- Broadjam to me is one of the best sites for artists to get their music noticed by lots of people. Because it gives the opportunity to get your music on popular television shows. I know when I watch a favorite TV show, and a good song comes on, I want to know what the song and ARTIST(most importantly) is. As difficult as it may be trying to make a living in the music industry these days, companies like Broadjam are a huge helping hand in trying to make that dream become a reality. With over 190,000 members in 190 different countries, http://www.Broadjam.com is the largest social network for musicians. Networking is the one of biggest tools you can use as a musician; why wouldn’t you join Broadjam to at least make the right industry connections you need to succeed? Being able to meet with the CEO of Brodjam, Roy Elkins and to sit in on two of his lectures has helped me as artist substantially. Two weeks ago, I could not even tell what music licensing was. If anyone ever has the opportunity to sit in on one of his lectures, do not miss out. There is so much information provided that will help you in your future musical endures, so make sure to take notes! Thank you Mr. Elkins for taking the time out of your schedule to meet with the students of Milwaukee Area Technical College in the music department; it was a pleasure meeting you.